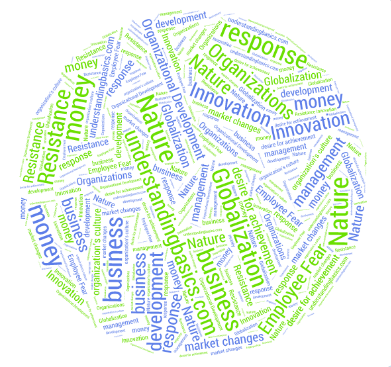 Global Management: Managing across Borders 1) The Nature of Change.. Globalization has affected the business world and it caused the businesses to change its strategies according to the new trends like segmented products, targeted products with speedy delivery, innovations for a better product, styles of working and utilization of knowledge. There are two types of changes, reactive and proactive. There are two types of forces which affect the business environment including the external forces and internal forces. The external forces include demographic characteristics; market changes; technological advancements and social and political pressures. While internal forces may include employee problems and managers’ behavior. There are four areas where change is unavoidable which are people, technology, structure and strategy. Organizational development is planned set of techniques used by the management for a better and efficient work environment. Normally the change agent is a consultant having a background in behavioral sciences, which help organizations in the development process to adhere with the new methodologies. Organization development can also be used as a tool to address conflicts, revitalize organizations and adapting to mergers. The organization development follows a three stage process which is diagnosis, intervention and evaluation. There are four factors which make organizational development successful which are multiple interventions, support from top managers, goals geared up with long-term and short-term perspective and culture. Innovation is different than invention; it can be under “eureka” approach or a systemized approach. There are six ingredients which are necessary for innovation including dedicated people, change in pattern, curiosity, derive for money, desire for achievement and innovation can also be a resultant of multiple factors. There are three ways in which an organization can promote innovation behavior in its environment which are providing right culture, providing resources and providing rewards. For advancement in innovation there are four steps to follow which are recognition of problem/opportunity and devising solution; gaining allies through communication of vision; overcoming resistance from employees and rewarding them on their achievements; and effective management. Resistance to change is behavioral response to some imaginary or real threat. Resistance can be caused by three reasons employee characteristic, change agent characteristic and the change agent-employee relationship. The intensity of resistance is based on the characteristic of change like whether it is adaptable, innovative or radically innovative. There are ten reasons behind employees’ resistance to change which includes individuals’ predisposition toward change; surprise and fear of the unknown; climate of mistrust; fear of failure; loss of status or job security; peer pressure; disruption of cultural traditions or group relationships; personality conflicts; lack of tact or poor timing; and non reinforcing reward systems. Kurt Lewin presented a change model which has three stages. In the unfreezing stage, management pursue employees through motivation to change. In the changing stage, the employees are provided with the tools to adjust with change. In the third stage of refreezing, the employees are guided and helped in adjusting with the change. John Kotter in succession to Kurt Lewin’s model, presented that there are eight steps to avoid common errors at top management level in the change process. The first four errors which occur at unfreezing stage are sense of urgency, guiding coalition, developing a vision and strategy and communicating the change vision. In the changing stage there are three steps which need care are empower broad-base action; generating short term wins; and consolidating gains and producing more change. 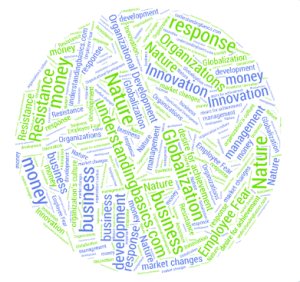 In the last stage of unfreezing the management needs to introduce new approaches in the organization’s culture.